CHAMPAIGN, Ill. — Ancient animal herders added to the ecological richness and diversity of the African savanna thousands of years ago – an effect that persists to the present day, a new study finds. The herders’ practice of penning their cattle, goats and sheep at night created nutrient-rich grassy glades, called hotspots, that still attract wildlife and have increased habitat diversity in the region, researchers report in the journal Nature. 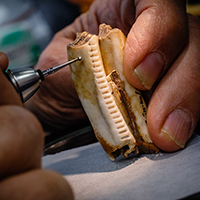 “Bones also are sources of phosphate, magnesium and calcium, all of which we found at higher concentrations in the soil of the ancient herding sites,” she said. 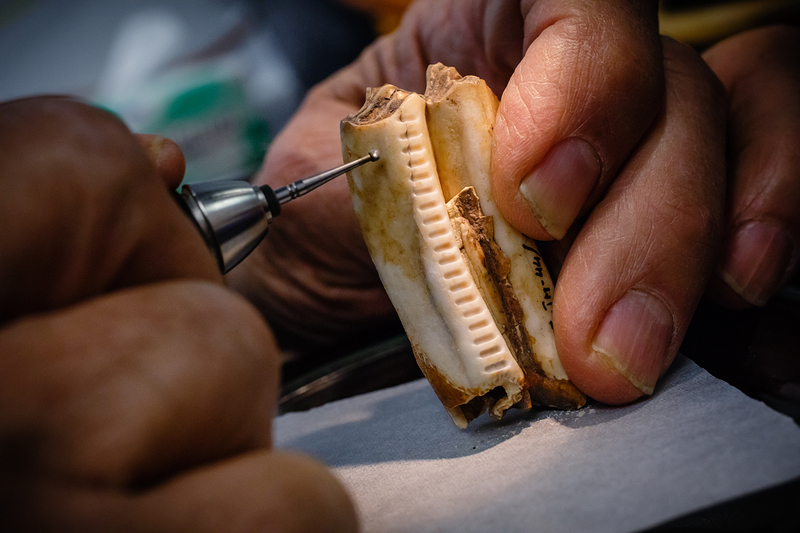 Researchers can also date the archaeological skeletal remains, including this cow tooth from the oldest herder site in this region, to determine when herding sites were used. The continued deposition of dung and perhaps even the wild animals’ grazing behavior likely lead to feedbacks that further enriched the sites, he said. “Our study indicates that herders may have had a role in structuring and diversifying African savanna ecosystems for up to three millennia,” Ambrose said. 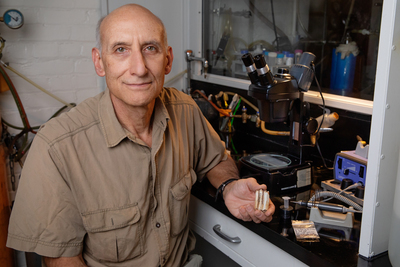 To reach Stanley Ambrose, call 217-244-3504; email ambrose@illinois.edu. The paper “Ancient herders enriched and restructured African grasslands” is available from the U. of I. News Bureau.